1. Scratch the YOUR 18 LETTERS. 2. Scratch every letter in the crossword puzzle that matches each of YOUR 18 LETTERS. The letters in the crossword puzzle will turn white when scratched. 3. 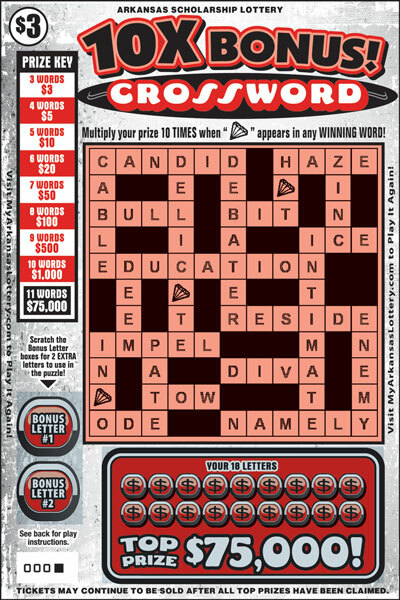 Uncover three or more complete words in the crossword puzzle, win prize indicated on the PRIZE KEY. 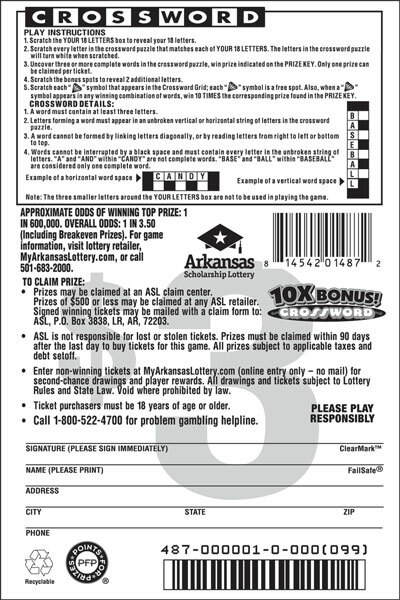 Only one prize can be claimed per ticket. 4. 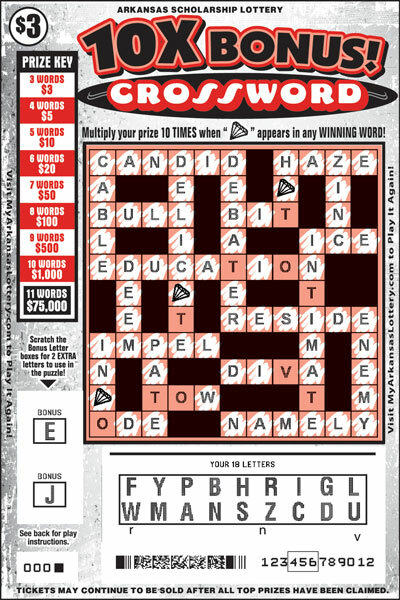 Scratch the bonus spots to reveal 2 additional letters. 5. Scratch each "DIAMOND" symbol that appears in the Crossword Grid; each "DIAMOND" symbol is a free spot. Also, when a "DIAMOND" symbol appears in any winning combination of words, win 10 TIMES the corresponding prize found in the PRIZE KEY.